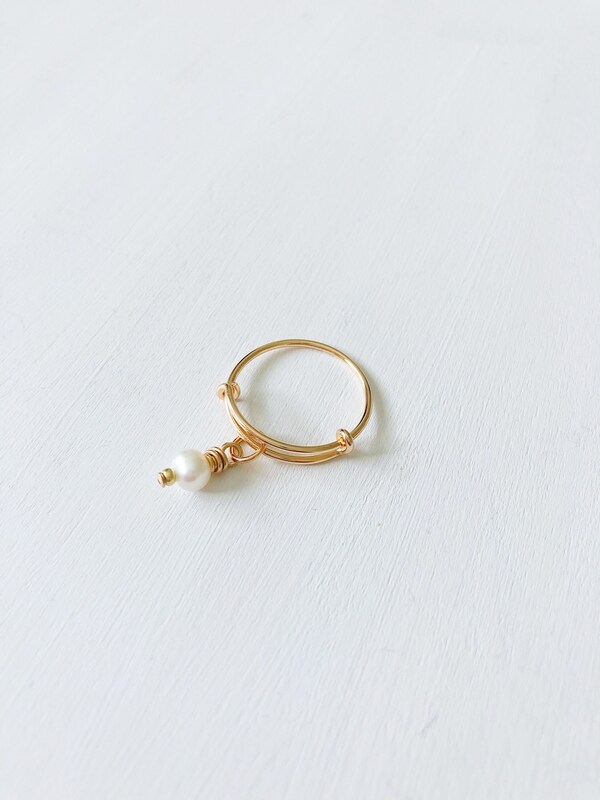 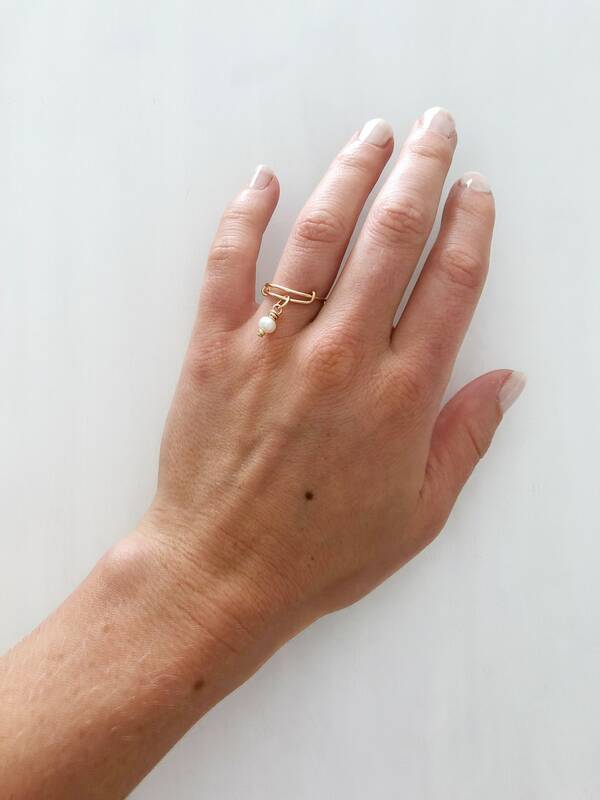 This adjustable (sizes 6-8) 14K gold filled ring is made with a shimmering cream / off-white freshwater pearl charm wrapped with 14K gold filled wire. 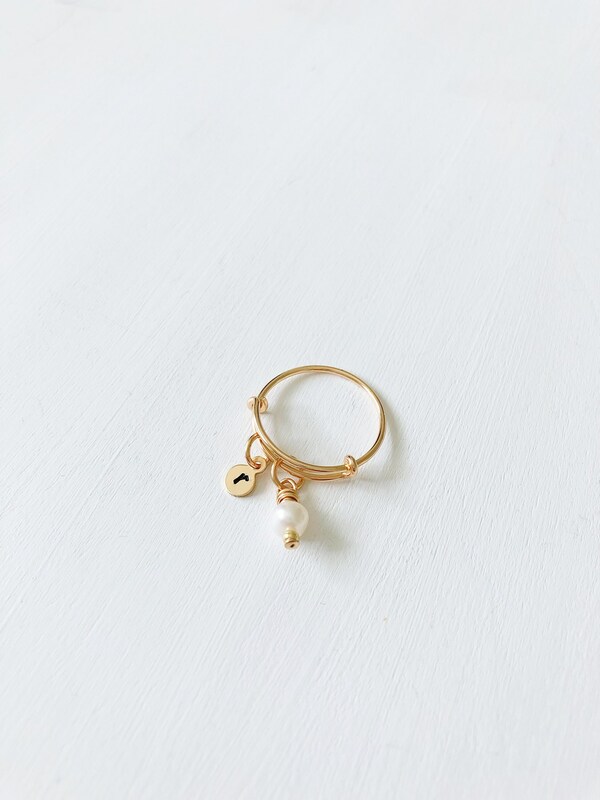 You can also add a tiny personalized gold filled charm hand stamped with the initial of your choice in ImpressArt's basic bridgette lowercase letter font (see font style in last picture). 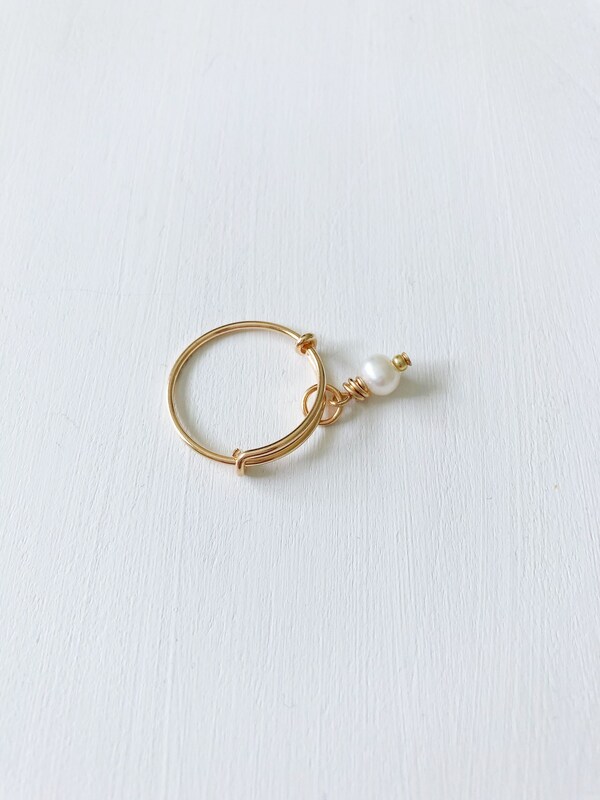 11mm cream / off-white freshwater pearl charm wrapped in 14K gold filled wire. 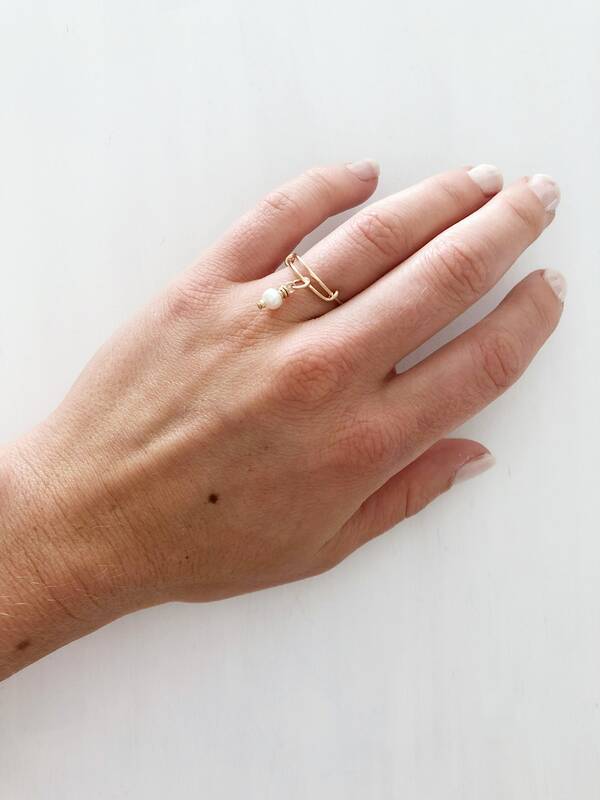 Pearls are irregular in shape and vary in size between approximately 4mm and 6mm across. • Your ring, pearl charm wire, tiny hanging stamp blank and jump-ring are all 14K gold filled. 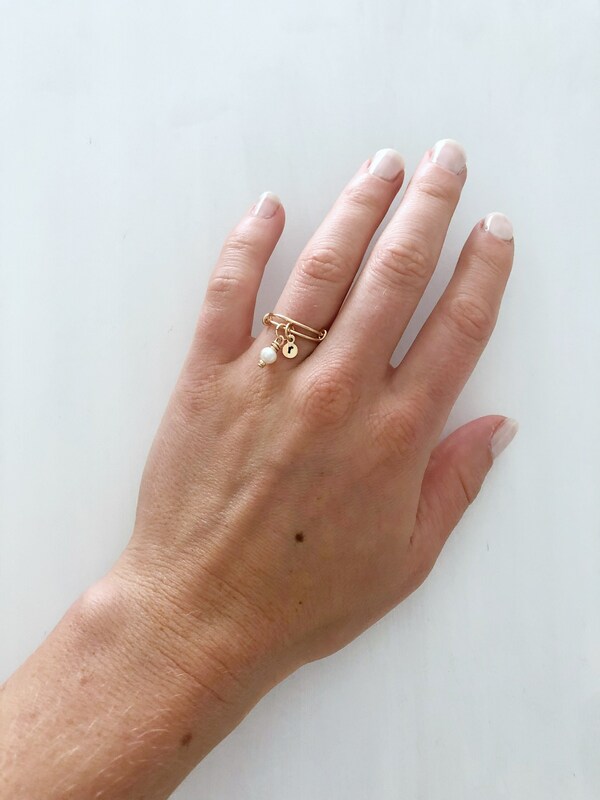 Gold filled is a higher quality and more durable alternative to gold plated and is intended to last over time with the correct care and attention. 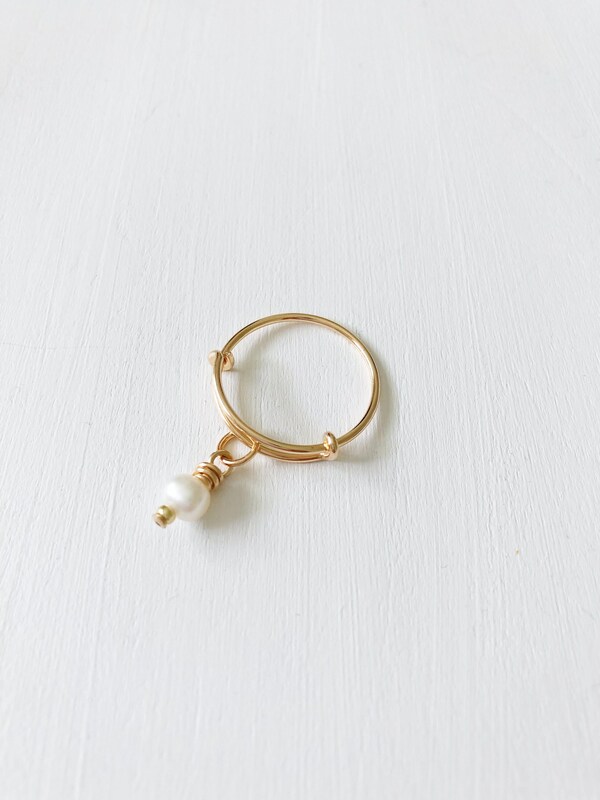 • If you need to clean your ring, a soft cloth is the best way to maintain it's beauty.